Wolves runner Jamie Wigmore’s quest to bring home a second consecutive individual national women’s title to Grande Prairie came up just short on Saturday at the 2015 CCAA Cross Country Running Championships in Brockville, ON on Saturday. Wigmore, the reigning ACAC champion, shadowed Ontario champion Emily Marcolini and Quebec champion Jessy Lacourse for the early part of the race. The Wolves runner and Lacourse broke away with 1.5 kms left in the soggy 5 km race, setting up an exciting head-to-head finish. In the end, Lacourse, last year’s CCAA silver medalist surged with 500m remaining and opened up a small gap which she maintained to the finish. The Quebec runner’s time was 18:33, 10 seconds ahead of Wigmore. Marcolini held on for third. With a CCAA silver medal, Wigmore equals the third best individual showing for a Wolves women’s athlete at Nationals. Fiona Benson (2010) and Mirelle Martens (2014) won CCAA gold, while Jessica Schmidt (2002) was also a silver medalist. In the team standings, the Wolves women had a tough day, finishing 11th overall, three places shy of their national ranking coming into the event. 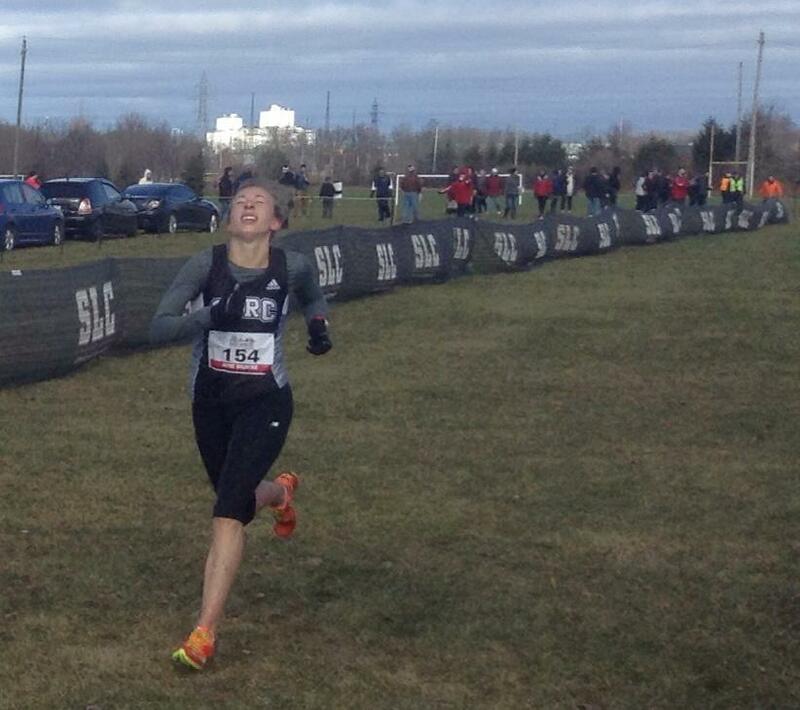 Maria Houle cramped in the middle of the race and had to gut out a 66th place finish. She was closely followed by Christie Shepherd (73rd) and Kirsten Manz (79th). Ashely Camsell (97th) and Emily Whalen (109th) were the other Wolves finishers. College Lionel Groulx won the women’s team title ahead of second place University of BC – Okanagan. In the men’s 8 km race, the Wolves ended up in 16th place. Brandon Wladyko led the way for the locals with a 47th place finish. Joel Demarcke (73rd), Josh Malmsten (96th), and Kyle Murray (98th) rounded out the Wolves scorers. Sherbrooke took the men’s title while Lethbridge College placed second. And in other xcountry running news on Saturday …. A pair of Wolves Athletics Club runners ended up on the podium at the 2015 CIS Cross Country Championships in Guelph, ON. Mirelle Martens placed 11th individually, and she and her Trinity Western University team mates placed second in the team standings. Martens was also named a CIS second team All Canadian for her performance. Jessica Baraskewich, running for the University of Calgary, captured a team bronze medal. She ended up 87th individually. Guelph University won the women’s title, while the University of Victoria upset perennial champion Guelph on the men’s side for the nationals win. This entry was posted in Cross Country and tagged ACAC, CCAA Cross Country, Cross Country Running, GPRC Wolves Cross Country, GPRC Wolves X-C Running, Jamie Wigmore, mirelle martens, Wolves Athletics Club. Bookmark the permalink.